INTRODUCTION: Small businesses with growth potential are an important source of new jobs and economic growth (Wong et al, 2005; Shane, 2009). Yet, there are longstanding concerns that information asymmetries in financial markets (Jaffee and Russell, 1976; Stiglitz and Weiss, 1981) may result in financial constraints on the development of ambitious small businesses (Evans and Jovanovic, 1989). These concerns, combined with the perceived economic and social benefits derived from some, if not all, small businesses underpin the plethora of public assistance available to them internationally (OECD, 2012). Indeed, the level of support has increased since the global financial crisis in 2007-8 due to evidence of widening funding gaps (Eurostat, 2011; Fraser, 2012; Dunkelberg and Wade, 2013). The aim of this special issue is to examine the role and importance of bank credit for small businesses before, during and after the global financial crisis in 2007-8. Why focus on bank credit? The main reason is that bank credit is the principal source of external finance for small businesses. Data from the UK Survey of SME Finances (Fraser, 2009) indicates that while bank credit is used by around 20% of small businesses, less than 1% use venture capital (VC). US data similarly suggests the main external source of finance is bank credit (used by 16%) with only a very small percentage using VC (Berger and Udell, 1998). 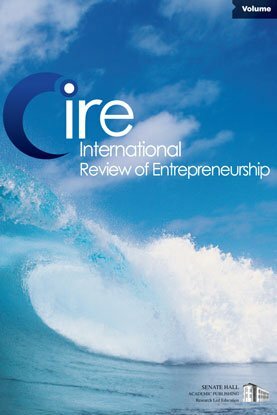 Whilst recognising that VC backed firms may contribute disproportionately to growth, discussion of this ‘elite’ group merits its own special issue. Equally, given the importance of bank credit, it seems particularly relevant to investigate what impact the 2007-8 global financial crisis (the epicentre of which was the banking sector) had on bank lending to small businesses. The articles presented here provide some interesting and contrasting insights into this issue.